The Lion, the Witch, and the Wardrobe is a story of the discovery of Narnia. Narnia is a fictitious land with castles and fauns. During World War II, Edmund, Peter, Susan, and Lucy move to live in the country with Professor Kirke. On a rainy day, while exploring the big house, Lucy finds a big wardrobe. Lucy steps into the wardrobe, and into Narnia. Narnia is a big snowy forest with several mythical creatures. Lucy encounters one of those creatures right away. Just as she steps into Narnia she sees a faun. A faun is a half human half goat. The faun’s name is Faun Tumnus and invites Lucy to tea and Lucy accepts. While having their tea, the faun explains that Narnia has been enchanted by the White Witch so that it is always winter. Lucy then leaves Narnia to tell her siblings, but none of them believe her and continually tease her. Then one day Edmund sees Lucy go into Narnia and decides to follow her. When he gets into Narnia he doesn’t see Lucy anywhere, but instead meets the White Witch. The Witch tells Edmund that she is the Queen of Narnia. The Witch then proceeds to get Edmund on her side by feeding him Turkish Delight. The Witch also convinces Edmund to bring back the rest of his siblings. While heading back to the wardrobe, Edmund runs into Lucy. Lucy tells Edmund of the White Witch, but Edmund denies knowing anything of her. Even after this Edmund claims that Narnia is a silly lie. One day, while hiding in the wardrobe from housekeeping, all four children find themselves in Narnia. Faun Tumnus has been captured for treason, so the children must get help to defeat the White Witch from a lion named Aslan. They find Aslan and defeat the White Witch. The four children then become the rulers of Narnia for many years. 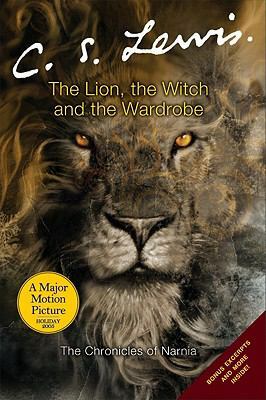 The Lion, the Witch, and the Wardrobe by C. S. Lewis is available for checkout from the Mission Viejo Library. It can also be downloaded for free from Overdrive. This entry was posted in Book Reviews and tagged book series, brothers and sisters, family, fantasy, fantasy worlds, good versus evil by emilio04vargas. Bookmark the permalink. Love this book… The rest of the series is great too. Magician’s Nephew is definitely my fave though.